You’ve undoubtedly heard this famous Albert Einstein quote before. But here’s the thing: Einstein never said it. 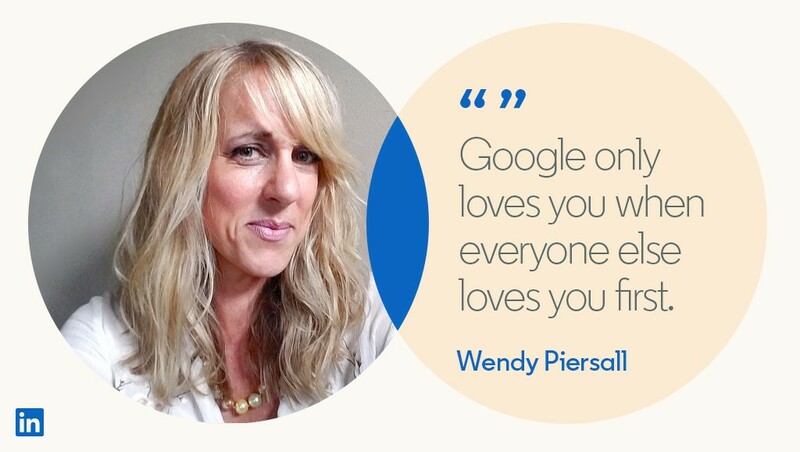 We love great quotes from marketing experts and brilliant business minds. They have the power to inspire us, enlighten us, and make us see things in new ways. But as we scoured the many existing search results for this topic, we found the same thing over and over again: scattered lists of supposedly famous marketing quotes with no real organization and no context. Many of the remarks in these curated compilations are misattributed, if not unattributed. And that’s problematic because oftentimes, these words of wisdom gain much more meaning and weight because of their source. So instead of adding to the insanity, we set out to create something new. Below you will find a roundup of 22 quotes from our favorite marketing experts throughout history, with explanations for why they matter to marketers today. And each one is linked to a trusted source of origin so you can verify it for yourself. 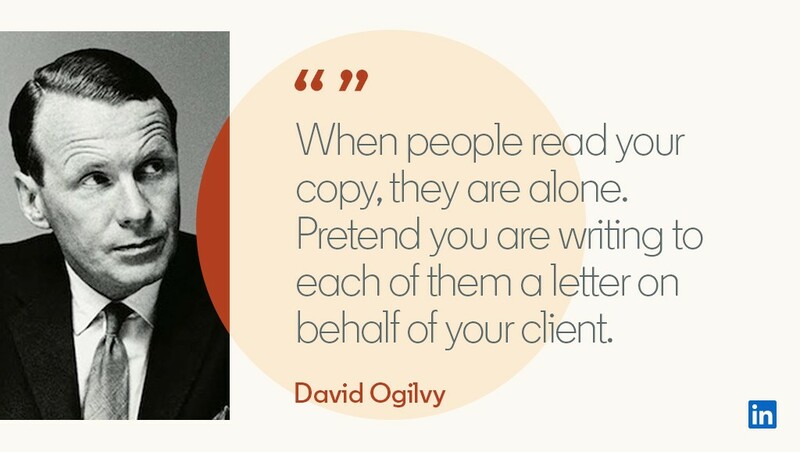 Ogilvy is known as the “father of advertising.” His 1983 book Ogilvy on Advertising, from which this quote was drawn, endures as one of the definitive texts on the subject. The European ad man was a mind ahead of his time, recognizing earlier than most that effective brand messaging must speak directly to its recipient, rather than being oriented toward the masses. Often referred to as the founder of modern management, Drucker was a forward thinker with a special enlightenment on the subject of business marketing – still a nascent concept when he rose to prominence in the 1940s and ‘50s. Drucker was a pioneer for the idea of customer-centric practices, and helped shape the landscape we operate in today. Marketing and sales are not the same, but marketers can often benefit from the wisdom of great sellers and vice versa. Sandler is one such individual; he developed game-changing sales processes in the 1960s and his legacy lives on through Sandler Training. The above quote succinctly encapsulates the combination of emotion and logic that drives purchase decisions. Like Sandler, Rowley’s expertise is in sales, not marketing, but as a modern selling evangelist she’s been leading the charge for collaboration and convergence. The statement above summarizes why that directive is so crucial in today’s environment. It’s the driving force for account-based marketing and its rapid proliferation. These 12 words pack a whole lot of truth. We are operating in an extremely competitive and crowded environment, so it’s not enough to just sell a company’s products or services anymore. We need to sell narratives and establish a purpose. Sinek’s book Start With Why, which became the basis for one of the most popular TED Talks ever, is all about this idea. Godin is a veritable treasure trove for memorable, thought-provoking quotes. This one comes from his 2003 book Purple Cow: Transform Your Business by Being Remarkable, which helped solidify his reputation as a tremendously intuitive business mind. Godin quickly realized the most successful brands were those that went beyond the marketer’s traditional checklist of P’s (Pricing, Promotion, Publicity) in search of true differentiators. This quote is often attributed to Airbnb co-founder Brian Chesky, but he himself credits it to Graham, who offered the advice while Chesky was participating in the Y Combinator startup accelerator. Graham’s message echoes the sentiment shared by Godin above (and by Ogilvy earlier): companies and marketers need to orient their offerings and content toward a very specific customer profile, rather than trying to be as appealing as possible to the masses. Lister is the VP of Global Sales Solutions at LinkedIn, but his guidance was plenty fitting in the context of Content Marketing World 2013, where he delivered it during a keynote speech. Sales professionals and marketers alike should be changing their focus from selling to helping. The goal is to engage and educate customers, enabling them to find their own way to our solutions. Or, as Drucker would put it, understand those customers well enough that our product fits them and sells itself. This quote isn’t specific to marketing but certainly applies to an industry that’s always hungry for new angles, new perspectives, and new horizons. 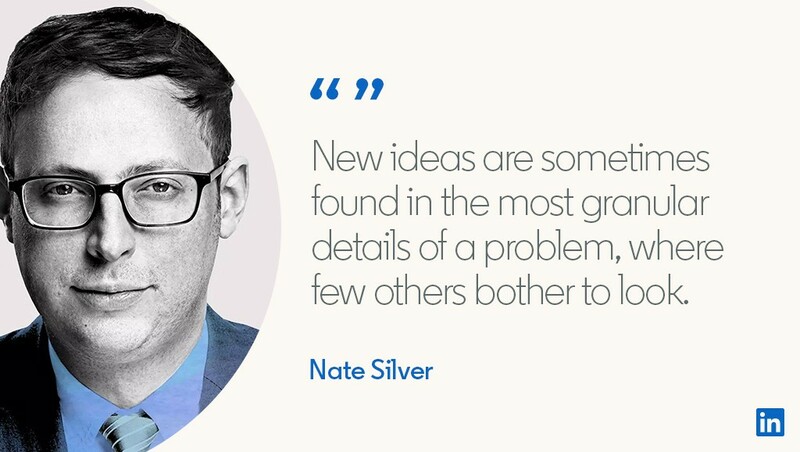 Silver is an analytics guru whose sophisticated statistical models were transformative, first for sports (while he worked with ESPN) and then for politics (when he launched FiveThirtyEight). In a world of endless metrics and measures, marketers are wise to dig deep and search for hidden trends and truths. We should aim to make every marketing campaign into a destination, rather than an obnoxious obstacle along the way. People don’t engage with content that offers them no value or entertainment, especially when they can easily find both elsewhere. The veteran marketer and keynote speaker Davis drives that point home with this excerpt. Candid. Blunt. Honest. What else would you expect from Pulizzi, founder of the Content Marketing Institute and one of the most respected straight shooters in the biz? At the end of the day, human beings are motivated by self-interest. Marketers must recognize this and position themselves accordingly. Customers don’t want to hear about how great your brand is; they want to hear about how you will make their lives better. Any quote with the word “billboard” in it might feel outdated, but the underlying premise here can certainly apply to our current digital advertising landscape. The modernized version might be something like, “An ad is finished only when you no longer can find a single element to improve.” Fortunately, we can make tweaks and adjustments online with a few clicks rather than needing to climb up and manually rework a giant physical display along the highway. Outbound is out. Inbound is in. That’s been the case for a while now, and Kawasaki framed it plainly in his endorsement of Inbound Marketing: Get Found Using Google, Social Media, and Blogs, the authoritative 2009 book on the subject by HubSpot founders Brian Halligan and Dharmesh Shah. With influencers like these ones leading the way, inbound marketing has become the norm for ROI-minded companies, and this quote puts it in terms anyone can understand. 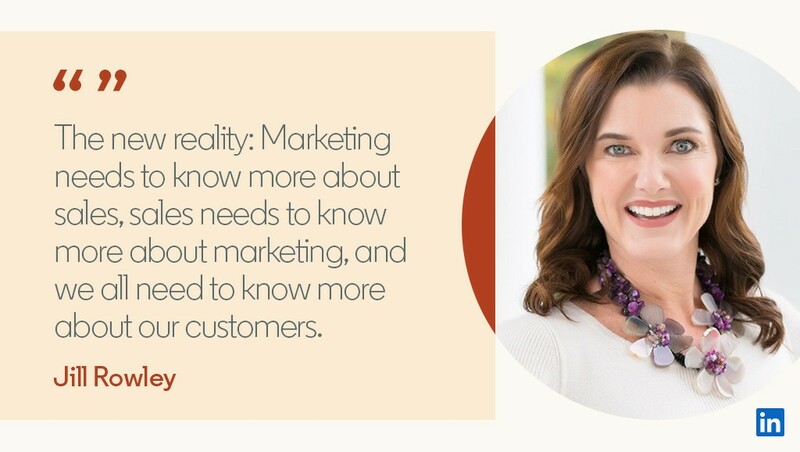 It’s hard to pick just one content marketing quote from Handley, because she has given us so many over the years as a riveting keynote speaker, best-selling author, and Chief Content Officer for MarketingProfs. She captivates audiences precisely because she practices what she preaches, tying her insights into relatable and compelling anecdotes that draw readers in like a can’t-put-it-down novel. As a longtime powerful exec with GE, Comstock knows what makes businesses sustain and grow. This quote condenses into a dozen words the vital function of marketing: developing the brand narratives and assets that become fuel for engaging and selling. Odden is the CEO of TopRank Marketing, and this line comes from his 2012 book Optimize, in which he laid out the framework of a truly integrated marketing strategy. Flipping the old “content is king” adage into a more accurate modern alternative, he points out that content is not just at the center of the marketing domain; it permeates throughout and touches everything. 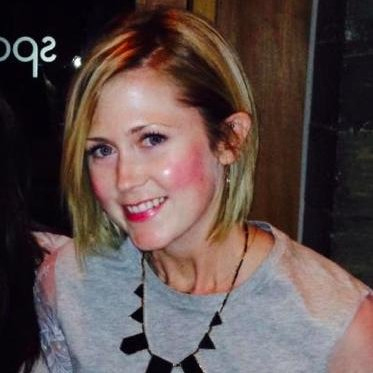 We sometimes see “going viral” treated as a goal, but that’s misguided. The objective should be to create something that gets people talking, because this means you’re challenging your audience and making them think. As LinkedIn’s Editor in Chief recognizes, effective content marketing isn’t just about being seen; it’s about making an impact and moving minds. Piersall blogged these prescient words in 2007. They ring all the more true now. Back then, search algorithms were more robotic, and easier to game. Now they’re smarter, and they prioritize results based on deeper signals of user engagement and satisfaction. Rather than stacking keywords, content writers should aim to create something everyone else will love (and link to). At that point, the SEO magic will happen on its own. In this age of frenetic technological advancement, it’s easy to get caught up in the newest trendy tool and lose sight of what social media marketing really is: an opportunity to listen and learn. Solis, one of the industry’s foremost thought leaders, gets it right with this take. A hugely popular author and speaker, Baer is as quotable as they come, but this one might be his magnum opus, appearing on just about every list and compilation of top social media marketing quotes. It’s as profound as it is concise, accurately depicting the explosive potential of stellar content fueled by a savvy social media strategy. From a brand perspective, the advent of social media offered another way to reach customers. But from the other side, it introduced an entirely new dynamic by making this a two-way dialogue. Suddenly, companies needed to open up and present a consistent, authentic personality in an always-on setting. At a time when establishing trust is essential, this is now imperative for B2C as well as B2B, where Gillin largely operates. Proving ROI of your social media marketing efforts isn’t the mystery it once was, but as Clearlink’s executive vice president asserts, the importance of being active on social networks goes beyond monetary benefit. Companies that lack an impressive social media presence risk falling behind the times, and projecting that image outwardly. Stay plugged into the most important marketing insights from all sources by subscribing to the LinkedIn Marketing Solutions blog.